Scans of original drawings of the North Tower of the World Trade Center have been published online by a coalition of independent 9/11 researchers and journalists. Berkeley, CA (PRWEB) March 27, 2007 — A coalition of independent 9/11 investigators and journalists today announced the online publication of a set of original blueprints of the North Tower of the World Trade Center. 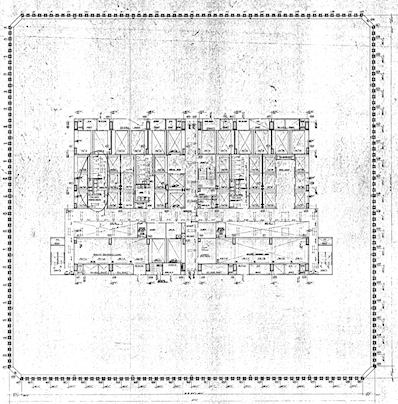 The set is composed of over 200 never-before-published drawings, including plans, elevations, and details, given to physicist Dr. Steven E. Jones by an individual interested in a more complete analysis. Groups presenting the plans include Scholars for 9/11 Truth and Justice, 9-11 Research, and Architects and Engineers for 9/11 Truth. A multi-resolution drawing viewer for the blueprints is located at 9-11 Research (911research.wtc7.net).